Can we watch footage on smartphones and Tablets remotely? be accessed 24/7 from virtually any location via the internet. 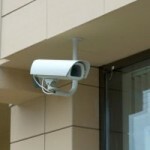 Does Total Security specialize in security systems for NYC and Long Island apartment buildings and residences in NY? Total Security works closely with Real Estate Management Companies, homeowners and property managers to install security systems. We specialize in residential installations in both urban and suburban settings. Call Total Security at (516) 623-2945 to receive a comprehensive onsite security evaluation of your condo, HOA or apartment building. Our long list of client references, our pedigree as one of the only A+ Rated security camera installers and our licensed, knowledgeable technicians will make you feel at home. Whether you are in New York City or on Long Island, reach out to us today to help you design and install the ideal apartment surveillance system. Our team is standing by to assist you. It’s Total Security. Accept Nothing Less. Note: Any companies that plagiarize or copy this copy and use it on their site will be subject to the legal action. Total Security takes copyright infringement seriously and uses copyright detection software.